LinkedIn has some good news for job seekers. It is making it easier to find and get jobs using the online professional networking service. According to the LinkedIn blog, over the next few weeks the company will begin rolling out the revamped Jobs tool, which will start showcasing open positions at companies where you have a first-degree connection — an “in” who can open doors for you at an organization that’s hiring. This is a boon for anyone looking for work since who you know can be almost as important as what you know when it comes to landing a good job. LinkedIn Jobs also will let you drill down deeper when performing an advanced search so you can find openings by country, zip code, industry and function as well as show you new results from your saved search parameters. Click on the “Jobs” tab and LinkedIn provides “Jobs you may be interested in,” based on information you’ve included in your profile. It also lets you more easily track the jobs you’re most interested in with a “Save Job” link that will keep those positions easily accessible on your Jobs page. With more than 200 million users worldwide, LinkedIn is commonly used by employers and recruiters to research prospective employees, so if you’re serious about your career, there’s no excuse for not using it. 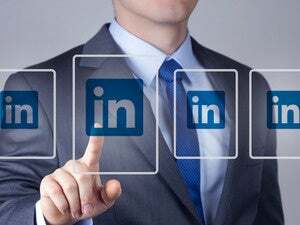 LinkedIn spokeswoman Erin O'Harra says it's important to include specific, significant results when you create your profile. "If you closed a million-dollar deal or you recruited five key executives for your company, those are definitely the things you want to call out to distinguish yourself from others," she says. She also says business-savvy users drill down and take advantage of the platform's deeper features. For instance, if you haven’t already done so, make sure to claim your vanity profile URL, which you can post on other sites or networks to bring people back to your LinkedIn profile. To get one, on LinkedIn, go to Profile, Edit Profile, and then click to edit the URL directly under your profile photo. From there, click on “Customize your public profile URL” on the right side of the page. LinkedIn also has more than 1 million different Groups you can join. Using them is a good way to expand your network and can be good places where you can contribute thoughtful commentary and demonstrate your expertise in your given field. Want more job seeking tips? Check out 12 Ways to Make Your Online Profile Work for You.